Android is our favorite operating system — the name of the site probably gave that away — but it's certainly not perfect. There are some things we really hate about it, and we want them consigned to history as soon as possible. This is our top five. We'll start with the biggest and best known Android problem, fragmentation. The open nature of Google's operating system means we can customize our devices almost completely but it also means some device manufacturers — and therefore users — are not able to upgrade to new versions of the OS or run certain apps. And that's not all. Because such a large number of manufacturers run the Android system, updates are famously irregular. Even within the catalog of a single company, updates often arrive at different times for different devices. The chaotic nature of this system has meant that, as of May 2015, only 9.7 percent of Android devices are running Lollipop (9 percent for Android 5.0 and 0.7 percent for Android 5.1), while the most used system is still Android KitKat (39.8 percent). Even more surprisingly, 0.3 percent of smartphones are still running on Android 2.2 Froyo, released in 2010. Google need to consider sitting down with manufacturers to find a solution, especially with Android M on the horizon. Another major bone of contention for Android users is Google's lack of control over advertising on its OS. This issue often means users end up uninstalling apps that, while great in theory, are rendered unusable by adverts. One of our readers recently came up with a great potential solution to this problem — an apps assessment system in Google Play that runs parallel to the existing one, but only concerns itself with the use of adverts in apps. The hope is that this feedback could encourage developers to employ their advertising in a more user-friendly fashion. For many people, how they root their smartphone determines whether they can install apps that eliminate advertising. Of course, some free apps need advertising to turn a profit but there are plenty that carry discrete ads that don't interfere with the user experience. It's pretty clear that this is an area where Google still has a lot of work to do. No operating system is 100 percent safe but the sheer size of Android makes it a big target for hackers. The proportion of malware on Google Play apps is very low (about 0.1 percent) but unofficial stores will often have much higher proportions of infected apps. The 0.1 percent figure may seem like a small number but Android's marketplace dominance means that a huge number of users are affected. One of the best-known cases of malware was a fake NES emulator that took payments from a user's account without their knowledge. However, the app currently causing huge issues is a game called Cowboy Adventure, which has since been removed from Google Play. The app stole its data from Facebook and infected the contacts stored in users' phones in a number of ways. Unfortunately, the app had been downloaded over a million times before Google even realized. This is a potentially critical issue for Google and we believe it should have better safeguards in place in its Play Store, especially considering the huge number of people that could be affected. No operating system is perfect, and every so often problems crop up that can be solved with a little update maintenance, a process that can use up less than 10 MB on your device. However, we shouldn't have to accept that a stable version of an OS that is released to millions of people worldwide can contain serious bugs that can make everyday phone usage a nightmare. For example, when Android Lollipop was released, its RAM leakage and reduction of autonomy were serious bugs that shouldn't have got through. You can also add the numerous bugs caused by the manufacturer to the list of sins. These included diminished data and/or Wi-Fi reception, a decrease in the volume when speaking on the phone and playing media, and certain functions crashing on a regular basis. Google's efforts to release the new version of Android at the same time as the Nexus can mean the OS is rushed and incomplete upon release. This is something the company really needs to review. There are fears that bugs may still appear in Android M, even after the problems encountered in previous releases, but it should still be a significant upgrade. It shouldn't be much of a surprise to anybody that Google is continuously collecting data from us all. Although in many instances that data is crucial to the function of an app, many users feel uneasy with the company knowing too much about their lives. While many may consider their personal information a fair exchange for the services they receive, there is a growing trend for individuals and governments to find out more about how our personal information is being used. For example, we may accept that Google Maps needs our location to find us the best route home but we have no guarantees that the same location information isn't being used for less altruistic purposes. 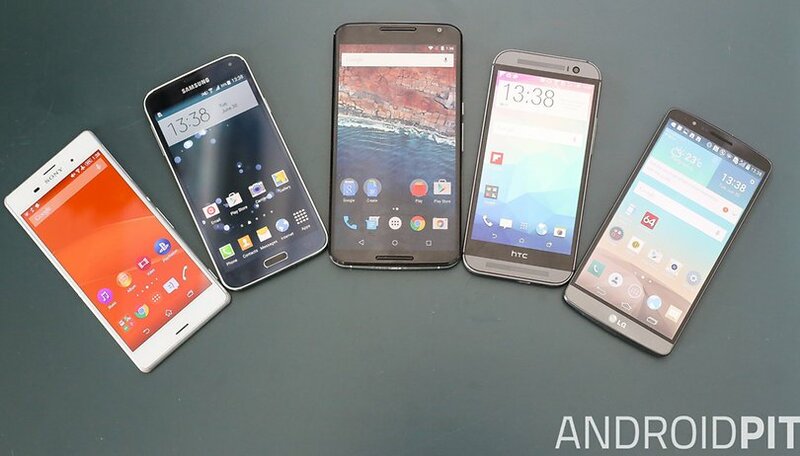 So there we have it, these are the five things we hate about Android right now. But we're sure there are many other complaints about the little green robot, so give us your concerns, criticisms and irritations in the comments section below. This text is based on an article by Santiago Luque for AndroidPIT Spain. The only thing I truly HATE about Android and its only one, is the UPDATES. IT takes about a year to get the Update. By the time I have received the update I have possibly purchased a new phone and even that it comes with an OLDER OS Version. But like everything else, you will always have bugs etc., App Developers have to earn money some how, via Ads. So as one well known US Talk show host says: "what grinds me" is UPDATES. That's one of the reasons I'm a huge fan of CyanogenMod. A NEW update ~5 times a week. Please I want to read sometimes a MS WOS fragmentation chart, or OSX or IOS, or even better GNU/Linux. Fragmentation is not an issue, It is a good thing It minds that you can choose hardware, and software, and that the OS evolves, and of course some old hardware do not support the new OS versions or it is not worth to do it for their vendors so, as you can choose, and if you care, you can purchase a Nexus, that will last with the latest OS at least 4 years instead of the normal 2 with most of the people changing mobile devices every year. What is a problem is not to have public drivers for the devices and their parts, specially the SoCs (no need to be open source, but it would be even better) so every user would be able to upgrade their own phone, or try other OSs as they can do with the Nexus models. I hope the ARA project would give this kind of really open device a chance. #4 is a big one...especially on nexus devices. One of the "perks" of a nexus device is quick updates...but they STILL haven't patched some major bugs. eg - mobile radio active bug, gps disconnects, camera cannot connect, etc. I don't have all these bugs, but there are far too many threads with similar complaints for them to be isolated user error bugs.